ITNI can provide your business with a 1 stop shop for managing ALL of your IT needs. 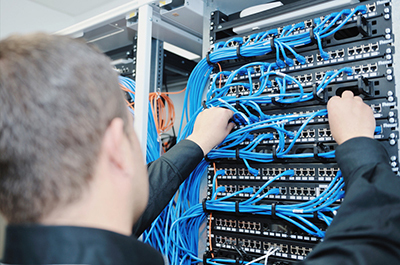 We can supply maintain and support everything from phone lines, phone systems, Broadband/Internet (including router) , Networking equipment (inc. wireless), data cabling, PCs, Servers, laptops, printers, tablets, mobile phones, websites and email. PSNI Security cleared staff for peace of mind. With over 10 years experience working with vendors such as Lenovo, Cisco, Microsoft, VMware, Veeam and Trend Micro, and with over 80 customers in the UK and Ireland, with customers of all sizes; from individuals with home offices, small retail outlets, to supporting some of the largest companies in Northern Ireland, ITNI can provide your business with all of the IT equipment, services and support that it needs. Web Bureau has been dealing with Ben @ ITNI Ltd. for the past 2-3 years. The first project was to complete the wiring of our new office for Cat 6 Cabling and hooking them up to 30+ network points via a central patch panel. Ben undertook this project in a highly efficient manner even though the timescales for completion were very tight. The second piece of work he undertook related to installation of a new File Server and Anti-Virus solution that met our organisational needs. Once again, Ben very quickly researched the correct products and implemented the software and hardware in a very timely manner. Web Bureau will certainly use Ben again in the future and cannot recommend him highly enough. Ben, I just wanted to drop you a quick message to say you’re an absolute hero. Emails are all good on the computer and the phone, calendar is much better, just improved all round. In the seven years of running a busy estate agents and a mortgage business I never had such great service from an I.T company. No matter what time of day (or night usually) if I contact ITNI, they respond within minutes, they have a proper “can do” attitude and nothing is an issue. In the year we have been working with ITNI our systems are slicker, faster and much more reliable. The staff in our offices know they can contact Ben directly and he will respond quickly, saving me time with the smaller issues which is fantastic. I regularly ask Ben for advice on products and systems and really appreciate his honest straight forward advice. I am able for the first time to let go completely of this part of the business, letting him do what he does best, with the peace of mind that his pricing and hardware selection can be trusted. Should you be starting off in business, running a large company, or just want advice on how to do things efficiently and effectively then I truly believe there is no-one better in the market at present than Ben. ITNI are reliable, efficient and, as someone who has phoned them at 9pm on a Friday night with a WiFi problem, I can assure you that their service is 24/7! ITNI is a company who will go the extra mile, and will not bombard you with IT talk, they just get the job done. They manage everything IT related at Midtown, from fixing a printer to maintaining our access control system and server. No job is too big or too small. ITNI have been looking after all of our IT needs for the past year or so, our computers have been in sparkling order ever since. Ben is only ever a phone call / email away to offer his expert advice and has fixed any issues that have had with our systems promptly. Aside from this Ben is a lovely guy, and it is a pleasure to have him as part of our extended team, we would be lost without him! We contracted ITNI to carry out an install of 21 cameras and a recording / playback facility throughout our campus in Carrickfergus. Ben and his team assessed our outdated system which was nearly 14 years old and gave an honest assessment of our options, breaking this down into various competitive pricing plans for us. He met with us several times and made the whole process very easy, explaining and demonstrating various cameras and recording devices, discussing the pros and cons of all. The system has been flawless and helped us combat potential safeguarding and bullying issues, as well as protecting our buildings and equipment. Supply, support and routine maintenance of ALL IT related equipment – broadband routers installed and configured, Internet issues resolved, wireless connectivity installed and secured, remote access to your home or business, phone systems, ip cameras, printers, pcs, laptops, servers, virtualised environments, email and web design. We can even supply you with desks and seats! Contact ITNI today for a quote. You do not need to buy new screens, although they are available if you wish. We can provide a "supply only" service if you have your own IT staff, or we can do the install for you as well as providing servicing and maintenance options. The last thing we want – believe it or not – is for a system to experience a serious fault. Computer system faults usually mean a loss in productivity and sometimes data loss. From experience, ITNI know that a well maintained system will have fewer issues than a system that is not maintained . For this reason we believe that the best way to keep things running smoothly is to perform regular checks on the vital areas of the system. The more checks performed, the less likely you are to experience a major issue. Our monthly maintenance contracts allow us to do exactly this, whilst leaving a little time aside to help cover time spent fixing any issues that should appear. With Server 2003 becoming extinct next year, contact ITNI for a quote to replace it with a brand new server with your choice of Server 2008 or 2012 Operating Systems. Or why not go virtual?! As a vmware partner, ITNI can implement a virtualised solution, tailored to meet the demands of your business. Your system data is crucial! If you are unsure whether all of your data is backed up, call ITNI now! PC, laptop and server backups available to physical media – on site / removable, or to the cloud! If you think your data is backed up safely and securely, contact ITNI to perform a test restore, or consider backing up onto encrypted media. If you were to lose your backup disk would someone be interested in your data? If your business has 2 premises, we can install a system that mirrors changes in data. When changes are made in 1 office, they are automatically made in the other. This removes the chance of having 2 copies of each file, where 1 is newer than the other. Contact ITNI now to discuss your data synchronization requirements. 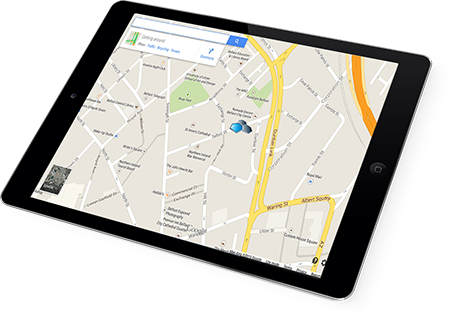 Keep an eye on your home and business from anywhere – from a laptop or even your smartphone! With more than 80 websites currently on the Internet, contact ITNI to discuss your website needs. Domain names: If you are happy with your website, why not purchase a new domain name – a change is as good as a rest. Keep your existing website, just give it a new / additional address. Logo design, including headed paper and business card imagery also available. Are you happy with how your business uses email? Are you getting lots of spam? Would you like a new version of Microsoft Outlook? Do you need to remotely access your emails? Do you need email on your phone? Do you need to monitor another staff members email? Whatever your requirements, ITNI can help. As Trend Micro and ESET partners, ITNI can make sure that all servers, laptops and desktop computers are protected against viruses and malware. With automatic updates and scans, and a central dashboard for monitoring the whole network, it couldn’t be easier. Not getting the most from your computer system? Do you have users that are not particularly familiar with computers? ITNI can come to your business and help get the best from your current system and help novice users increase their confidence working on a computer. The last thing we want – believe it or not – is for a system to experience a serious fault. Computer system faults usually mean a loss in productivity and sometimes data loss. From experience, ITNI know that a well maintained system will have fewer issues than an unmanaged system. For this reason we believe the best way to keep things running smoothly is to perform regular periodic checks on the vital areas of the system. The more checks performed, the less likely you are to have a major issue. Our monthly maintenance contracts allow us to do exactly this, whilst leaving a little time aside to help towards fixing any issues that may appear. We can provide home users with PCs, laptops, screens, keyboards, mice, wireless equipment, printers, etc. Please contact us for a quote. We can also install the new equipment for you. If your computer is running slow, or if you think you have a virus, or if you wish to upgrade some of the components within it, ITNI can help you! Most homes now have a network. 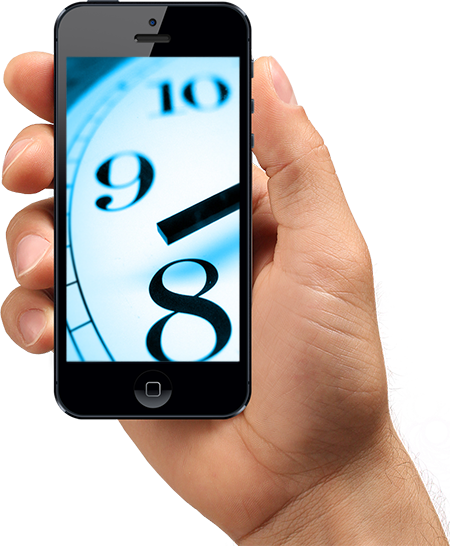 Wireless Internet, Home Offices, AppleTVs, Smart TVs, iphones / iPads, wireless printing. etc If you need help with yours, please contact us. With streaming being so dependent on a strong Internet signal, downloading your movies in advance, to a “Home Media Server” to watch at any time, is a great option. ITNI can supply and install these systems for you. These systems are portable and can be used in places with poor Internet connections. If your computer’s hard drive failed, would you be lost without your data? Backup solutions are available from £100! IP security cameras with night vision, motion detection and email alerts, can be watched on your phone, or from any PC to give you security and peace of mind. ITNI can install configure and secure your wireless network. Your PC/Laptop needs to be protected from viruses and malware. Contact ITNI for a quote. ITNI can provide flexible parental controls that protect every Internet-connected device in your home, instantly. In addition to computers, this includes your kids’ Xbox, Playstation, Wii, DS, iPad, and even their iPhone. Built-in phishing and identity theft protection Take the guesswork out of identifying fraudulent sites.The router will automatically block identity theft and phishing websites. Our standard office hours are 9-5 Mon-Fri however we are on call 24/7 and for scheduled work – we work when you want us to. We understand that working on your computer system can be disruptive to your business. That’s why we are happy to work when it suits you. Early in the morning, late in the afternoon, we even work at night! There are various options available to suit your business’s needs. We can provide 24hour support if you need it. Even if you are not a current customer, if you have a problem now, and need it fixed (or diagnosed) we can support you NOW!